In this post, we focus on consulting cover letters – everything from how to catch a recruiter’s eye and nailing format to what recruiters are really looking for. If you have another perspective on consulting cover letters – we’d love to hear from you! Subscribe to our newsletter, add your comment below, or send us an email. 75% of the questions we received about consulting cover letters centered around how to stand out when you’re competing with so many other candidates. Here’s the bottom line. You’re not going to get an interview just because you have an incredible cover letter. You’ve undoubtedly got to back up your story with networking – getting personal – and a resume – experience and credentials – that’s just as or even more amazing. Therefore, you can’t use your cover letter to explain away sub-par results or whine about why you should be given a chance – ever. That said, don’t assume the cover letter is insignificant. It’s an important tool that recruiters and interviewers use to substantiate your resume, to give context to your story, and to get a sense of who you are as a person. Will you fit into their culture? Will you thrive in their training programs? Will you mesh with their teams? Your cover letter will give the firms indicators to all of their personality questions about you. On your end, the cover letter offers prime real estate for name dropping, awards boasting, and simply showing them you know how to write well (not to be underestimated). Hopefully this set of Q&As – 5 tips to catch a recruiter’s eye, plus 11 bonus suggestions – will give some definition to the gray area of consulting cover letters to all of you consulting candidates out there. Our guess? Many of the answers will surprise you – big time. Getting a recruiter to read your cover letter, believe it or not, doesn’t start with your cover letter – it starts with networking. Especially at the super competitive firms like MBB, ranking systems or computer programs are used to filter through the thousands of applications they receive every recruiting season, separating the great from the good from the not a chance candidates. Networking – and the name-dropping that goes along with it – helps to flag your cover letter more than anything else. After that, your entire consulting cover letter, just like your consulting resume, should focus on quantifiable achievements related to actual things you did. We don’t disagree, but your cover letter alone certainly isn’t what’s going to get a recruiter to look at your application out of cycle. 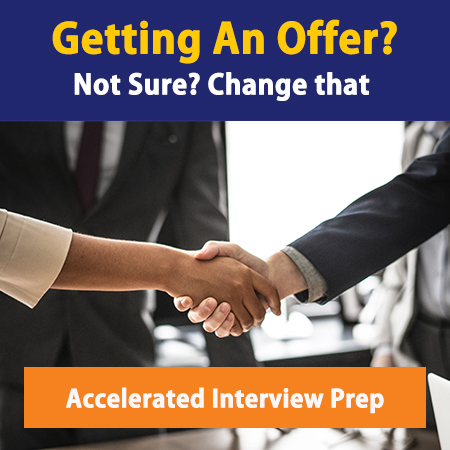 Getting a current employee to forward your application – including a strong resume and cover letter – is a much stronger strategy for landing an interview off season. Besides, recruiters aren’t too likely to look at applications unless they’re really hiring. So your cover letter made it past the first screen and you’ve joined hundreds of other applicants in competing for a first interview. Now what? We’ve helped so many clients with this exact question! Many candidates make the wrong assumption that the cover letter is a summary of your resume – NOT TRUE! If you’re using your cover letter to reiterate things you’ve already said on your resume, you’re making 2 mistakes: 1 – you’re wasting valuable space that could be used to sell yourself, and 2 – you’re telling the firm that you’re inefficient. What a waste! Use the cover letter for major highlights in your experience. Include name brand schools and companies, selective awards or programs, and key degrees, then tell your story – how you accomplished what you did and what kind of leader/team member you are. Highlighting one story in depth will be more memorable than a recap of your resume. The recruiter already read your resume – don’t make them read it twice! Very true – you want to demonstrate to the firm how you can contribute to their success, not how they can help you climb the corporate ladder (even if that is your goal). Confidence is key – for any firm, big or small. Stay away from using terms like I feel, I think, or I believe – state clearly your position without qualifying it. Own it! And remember, the folks reviewing your application are people too. They respond to simple psychology and are attracted to confident candidates. If you truly believe that you have what it takes, and you portray that in your cover letter, you’ll show them you can play with the big boys. Self-motivation and analytical are 2 key characteristics of a management consultant, so yes – any chance you have of giving examples where you’ve demonstrated these qualities is awesome. Your cover letter is a great place for this. Use it to put words around the accomplishments and results you’ve listed on your resume. Don’t underestimate your competition, however. You can’t just be good in one role – you have to be consistently amazing, and demonstrate this theme in your cover letter. HOW MUCH WEIGHT DOES THE COVER LETTER CARRY? Both rumors have truth behind them. There are some candidates with such a strong resume that their cover letter is only briefly glanced at. In cases where a candidate is more questionable, the cover letter may be read in more detail to determine their fit for the firm or position. For candidates that offer a terrible resume, the cover letter won’t even get a sniff. At the end of the day, you will give the best impression if you have both your resume and cover letter perfectly packaged. If you’re in the “limbo” category, you want to rise to the top. Yes, a bad cover letter can hurt you, even with a great resume. A poorly written cover letter sends the recruiter mixed messages about your professionalism. And see our answer above – a good cover letter can make the difference between getting the interview invite and getting rejected. Get our Consulting Resume and Cover Letter Bible for more cover letter dos and don’ts. Like we’ve said, consulting reviewers do actually read cover letters. They don’t read them for everyone, but if you have a mild chance of being a borderline candidate anywhere, expect the cover letter to be used as both a writing sample and, as necessary, a tiebreaker. It’s not 50% of the application – more like 25%, we’d say – but make it count! In the U.S., a cover letter is expected – so always plan to submit one with your application, whether it’s for an MBB, a boutique, or a Big Four. In India, follow accepted protocol. That means if cover letters are discouraged, don’t make a bad name for yourself by going against the grain. “Each paragraph should have a point starting with skills already acquired to what you hope to do/gain from working for a particular company. Introductory paragraph and thesis statement – state the position you’re applying for, what you’re currently doing, and what skills/experience you will contribute. 1-2 strong example paragraphs with a deep dive on 1 or 2 specific accomplishments that highlight your consulting-related skills. 1 paragraph about why you want to do consulting and why you’re interested in the specific firm. Showing interest in the company is all about making it personal – which comes back to networking. If you can explain what John shared about his experience at the firm with you, and how what he said ties to your experience, you’ll convey much more interest than someone with a recap of the firm’s website marketing pitch. Your cover letter should not exceed 1 page, under any circumstances. If you’re unable to say what you want to say in a page or less, you’re not thinking like a consultant! However, if it’s too short, you probably aren’t saying enough – nothing shorter than 3/4 of a page makes sense, and a shorter letter looks like you didn’t try. By now you should know why it’s important to stick to 1 page or less for your consulting cover letter, so here we’ll just reiterate the importance of using the format outlined above – an intro paragraph, 1-2 example paragraphs, a few sentences on why consulting and why this firm, then a brief, closing paragraph. Don’t try to tell you entire life story! Stick with a few examples that demonstrate key consulting qualities like leadership, teamwork, and analytical ability, and spend some quality time writing excellent prose. Templates are great for getting ideas on how to build your own consulting cover letter. However, you need to make sure you’re using an adequate template. For example, an internship template should only be used for applying to consulting internships – not to land a full-time consulting position at an MBB firm. Our Resume and Cover Letter Bible has 12 cover letter templates (and 12 resume templates) for different professional backgrounds – from undergrad and finance guru to experience professional and MBA. While you could pick from those, it would be even better to review all of them – and pick the parts you like best, inserting your story and building your own paragraph intros and conclusions. Great answer – good job! 1. Consulting cover letters matter, so submit one – even if it’s optional. 2. Consulting cover letters should be structured but personalized. Networking provides great context for personalization, and will make a good cover letter so much better. 3. Adhere to a strict 1-page max, and 3/4 page recommended minimum, for a consulting cover letter. 4. Don’t use your consulting cover letter to recap your resume – use it to tell a story. 5. Never use a consulting cover letter to explain something negative – focus on how amazing you are and how much you’re excited to work at the firm. Keep an eye out for our final post from the January contest!